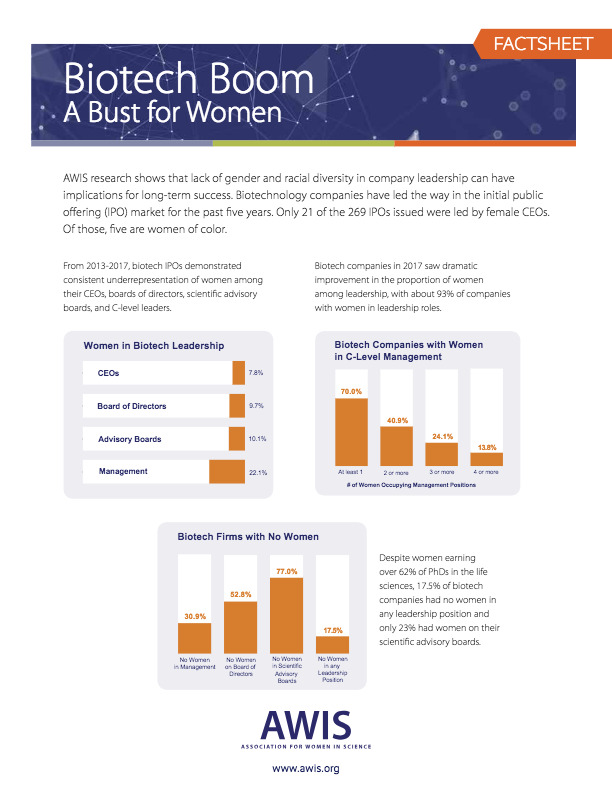 Lack of gender and racial diversity in company leadership can have implications for long-term success. Biotechnology companies have led the way in the initial public offering (IPO) market for the past five years. Yet only 21 of the 269 IPOs were led by female CEOs, Of those, 5 are women of color.